Fans can meet Paddington on a double decker bus in the shape of a Half & Half loaf called the Warbeartons Adventure Bus. British bakery brand Warburtons has changed its name to Warbeartons to mark a ‘major new strategic partnership’ with Paddington Bear. For the first time in its 138 year history, the Warburtons headquarters in Bolton and over six million of their Half & Half products will bear the name Warbeartons. The special Warbeartons Half & Half packaging will also feature an image of Paddington Bear. “We are delighted to be partnering with Warburtons, the nation’s number one bakery brand," said Nicholas Durbridge, chairman of The Copyrights Group. "With both Warburtons and Paddington being such well-known family brands, this is the perfect strategic partnership and we are very much looking forward to the host of activities Warburtons have planned for Paddington throughout this year. "With the first ever Paddington movie launching in November, there will be many more exciting adventures to come." 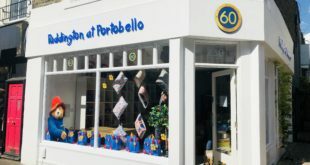 The Warbeartons Adventure Bus is, of course, a double-decker sized bus in the shape of a Half & Half loaf and will give families the chance to meet Paddington Bear, sample marmalade sandwiches and take home a special summer adventure guide. Fans can also upload a photo of the Bus to Facebook for a chance to win a once-in-a-lifetime adventure family holiday. 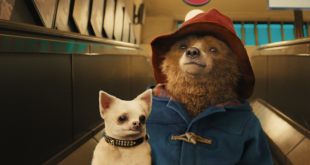 The campaign will span social media, national PR, in-store activity and events, all building up to the launch of the Paddington movie, hitting screens on November 28th.